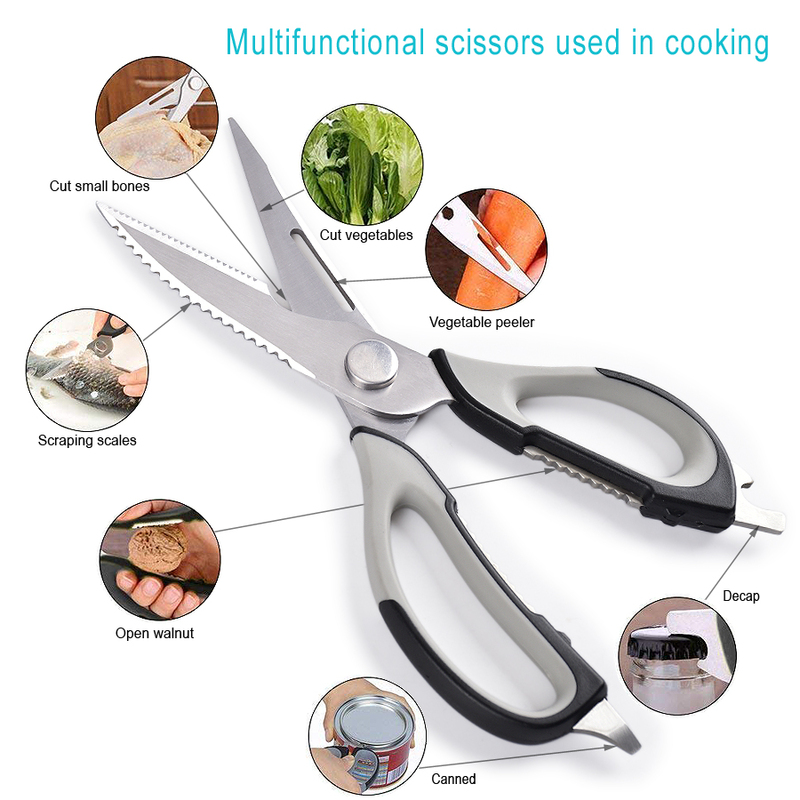 Product categories of Kitchen Scissors, we are specialized manufacturers from China, Kitchen Scissors, Vegetable Scissors suppliers/factory, wholesale high-quality products of Cooking Scissors R & D and manufacturing, we have the perfect after-sales service and technical support. Look forward to your cooperation! How to select a good and right scissors, we should pay attentions to 5 parts: The length and thickness of the blade, sharpness, materials and the handle size, the Kitchen Scissors are designed for different using. The heavy-duty scissors easily cut through tough poultry, chicken, chicken bones, slice meat, fish and vegetable, make the works efficient.